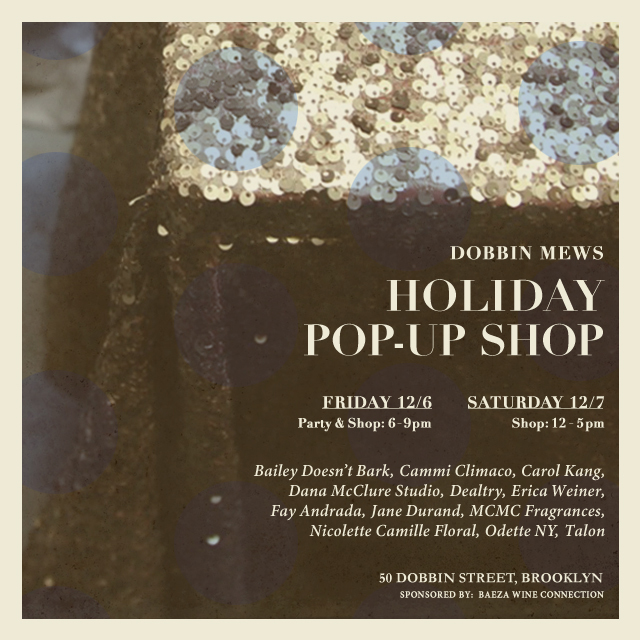 Annual Holiday Pop-up and Party featuring the designers of the Dobbin Mews. Find beautiful gifts including jewelry, perfume, scarves, wreaths, ceramics and more. We will also have refreshments and nibbles. Come! Update: Here are some photos from the event!